MuHa Games is a Polish-British indie developer, creator of Thea: The Awakening. Thea: The Awakening is a 4x strategy, RPG, survival and card game hybrid, and has a sequel coming to Steam’s Early Access. Arriving on November 30th, Thea 2: The Awakening is scheduled for a 2019 release overall. Early Access will include the core mechanics, such as exploration, battle, resource gathering, research, and crafting. Thea 2’s Early Access will also have the main quest and many of the side quests playable. The goal during this time is to polish the game and analyze feedback from the players, to tweak the game and get it ready for the final release. Thea 2: The Shattering will once again offer a unique blend of 4X turn strategy, RPG, survival — and an original card game with a dark fantasy setting — all inspired by Slavic mythology and culture. Players take on the role of gods, overseeing the actions of their tribe of followers while navigating a procedurally-generated environment. 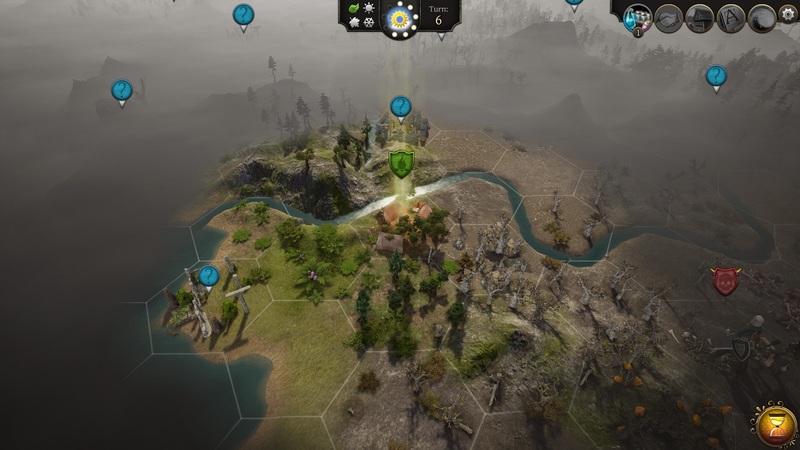 They will decide on a favored play style and build on it during their adventure: they may wish to simply explore the world as nomads, take on all comers as a warlord-led army, or master the art of diplomacy; building alliances with other factions and trying to ensure the peaceful survival of their worshippers. Thea 2 will also feature co-op multiplayer, free DLC, an adventure editor, modding tools, which ought to bring quite a bit of replayability as well as community engagement.